I love a good breakfast casserole and this one does not disappoint. This is a SIMPLE to make, yet a super DELICIOUS casserole. The recipe brings together all the perfect flavors for a filling breakfast casserole. 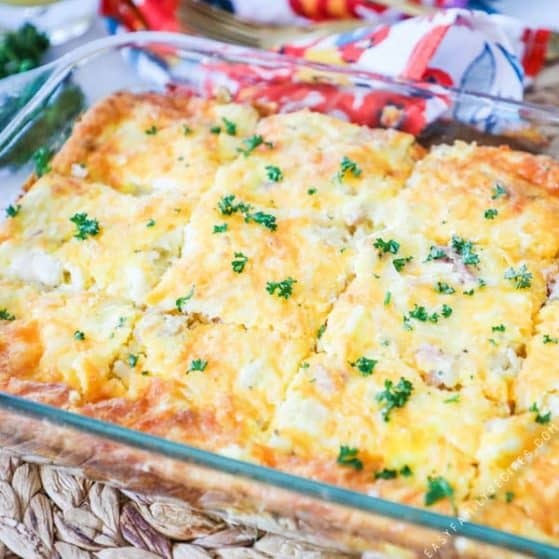 Not only is Ham and Cheese Breakfast Casserole easy, but it also makes enough to feed a crowd so it is perfect to serve at gatherings, holidays, potlucks, brunches, and even showers. This casserole is quick and easy, but full of the comforts we all love in breakfast. This is delicious and super easy to make. I especially love to make this when we have leftover ham from dinner. 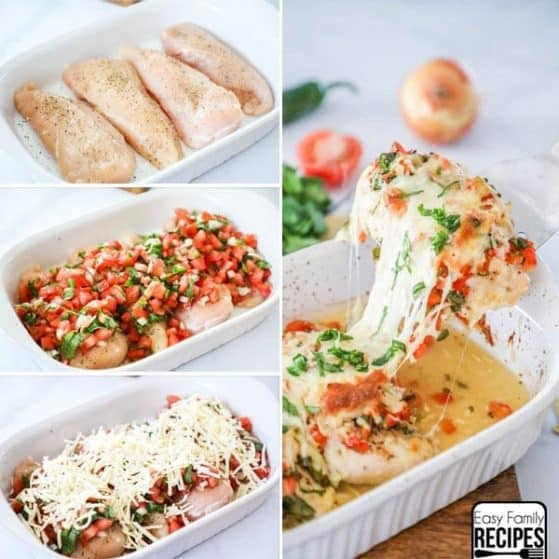 Perfect for holidays or everyday meal prep, this casserole can be made fresh or the night before so all that is left to do is just throw it in the oven. This casserole comes together in no time and makes enough to feed your family or even all your guests too! 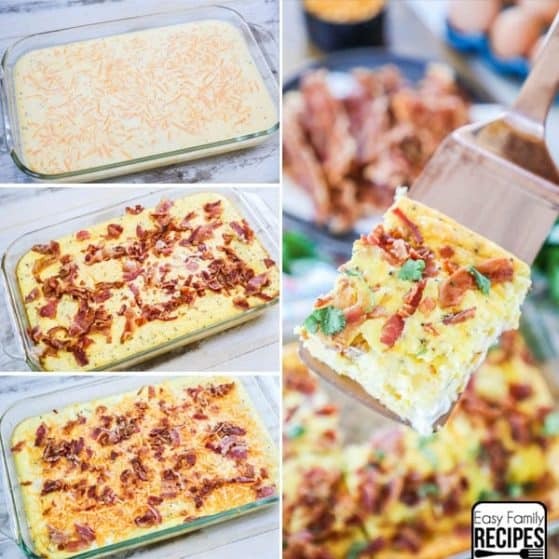 If you love breakfast and need a few other ideas to try, my Breakfast Casserole with Sausage is super popular amongst my readers, this Loaded Hashbrown Breakfast Casserole is one to put on your must try list, and the Apple Fritter Breakfast Casserole is super easy and filled with sweet breakfast flavors! 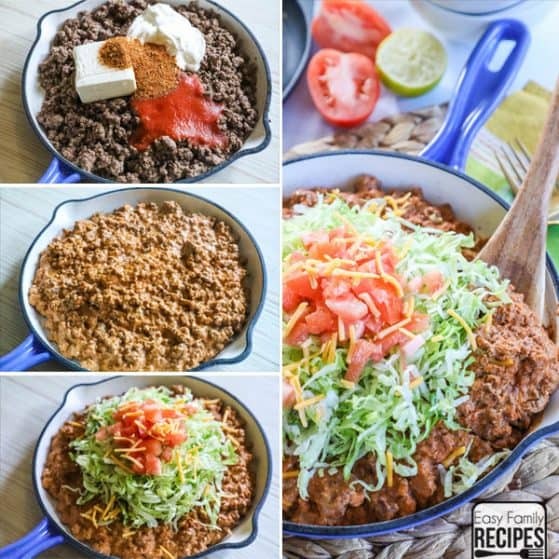 If you have any other suggestions for sides that go well with this dish, make sure and leave me a note in the comments so I can give it a try next time we make this! Like I said before this recipe is super easy and simple, the most time spent I waiting for it to bake. I am going to run through an overview here and add some notes that might be helpful for you while making the dish. Make sure to get the FULL recipe at the bottom. In a large bowl, combine the hash browns, salt, pepper, 1/2 cup cheddar cheese and ham. Then fold in the cream cheese to distribute it through the mixture. Transfer the hash brown mixture to a greased 9×13″ baking dish. You can keep the hashbrowns frozen, or use thawed. Both will work in this recipe. If they are frozen it will take on the longer side of baking and thawing the hashbrowns helps to cut down on cooking time. You can use most types of ham in this dish. I like to make this with leftover ham from dinner, but you can also buy ham in the meat or deli section of the grocery store. I prefer to use a high quality ham that is sliced, and then just cut it into cubes myself. For the cream cheese, you can use original (which is what I use) or light. Avoid fat free because it does not melt in the same way. Try to fold it in so that it is evenly dispersed throughout the dish. I think these little bites of cream cheese enhance the deliciousness of the casserole 1000%! In another bowl, whisk the eggs and heavy cream together. Then pour the mixture over the hash browns in the casserole dish and top with the remaining cheddar cheese. I always use heavy cream in my breakfast casseroles because it helps to bulk up the egg mixture without losing the great flavor. It also helps to keep the more egg like texture. If you are in a pinch, you could also use half and half or milk, but I prefer both the flavor and texture with cream. You may have to tilt the dish around a little to get the egg mixture between all the hash browns and to fill every nook and cranny of the dish. Bake for 40-50 minutes or until the center is just set and springs back when touched. I bake this dish uncovered. Each oven cooks differently though, and if your oven is smaller or there are other things in it it could brown more quickly. If you find that the casserole is getting more browned on the top than you want, you can loosely cover with foil for the remaining bake time. The cook time will depend a lot on how cold the casserole is going into the oven. If the hashbrowns are frozen, or you prepared the breakfast casserole the night before and are cooking straight from the fridge, it will likely be on the longer side. If everything is closer to room temperature, it will likely be on the shorter side. Can I make this breakfast casserole the night before? Yes! This is one of my favorite things to do, especially for holiday mornings! Prepare as directed, cover it with tin foil and place it in the refrigerator. You may need to increase the baking time by 5-15 minutes since the casserole is cooking from a colder temperature. Can I substitute half and half for heavy cream? I make this recipe with heavy cream and find that it adds to the casserole’s richness, texture, and creaminess. I have not tested this recipe with half and half but I think it would work, although you may lose some richness. 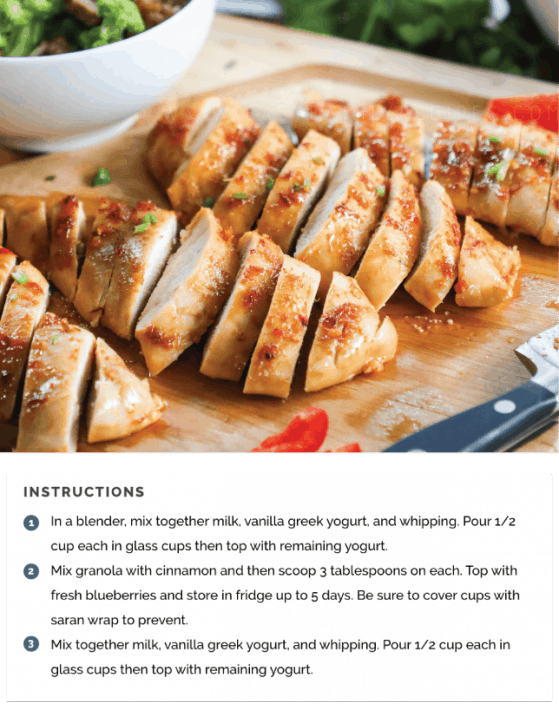 Do I have to use Cream Cheese in this recipe? The cream cheese is amazing in this breakfast casserole. 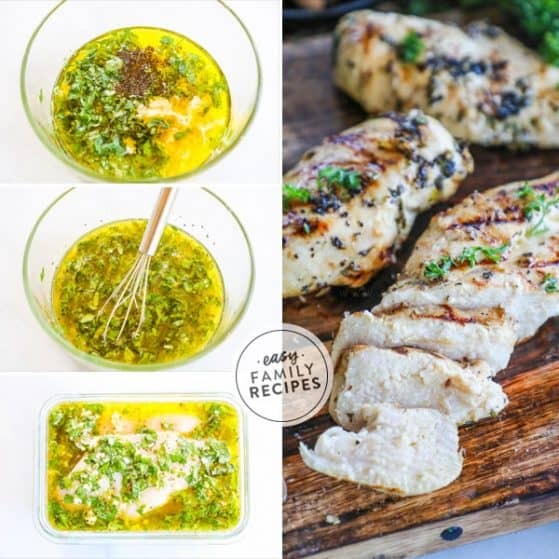 It makes it extra creamy and adds an extra dimension to the flavor. 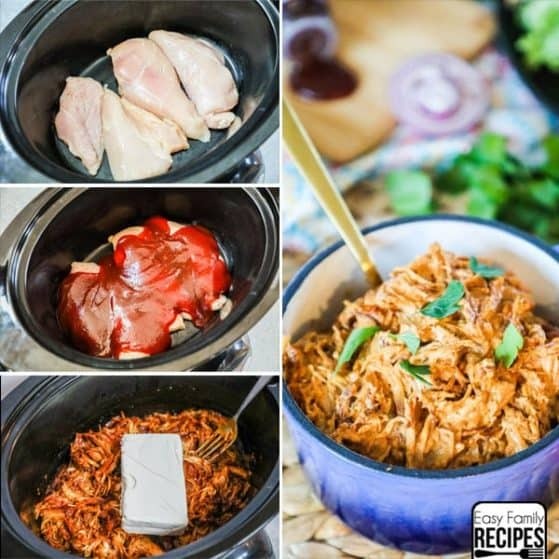 If you have picky eaters, or special dietary needs, you can leave it to one side or even out completely, and the casserole will still be delicious. Yes, this recipe is naturally gluten free. Just make sure to check all of your labels when you buy your ingredients. Can I freeze Ham and Cheese Breakfast Casserole? Yes you can. You can freeze this before or after cooking. Prepare to step 3 right before you add the cheese. Freeze flat in a baking dish. Once you are ready to bake, let thaw completely, add the cheese and continue as directed. Cool completely and slice into serving sized portions. Place slices in a zip top bag or other air tight container and freeze. Casserole can be reheated one slice at a time or as a whole in the microwave or covered with foil in the oven. How do long do Ham and Cheese Breakfast Casserole leftovers keep? 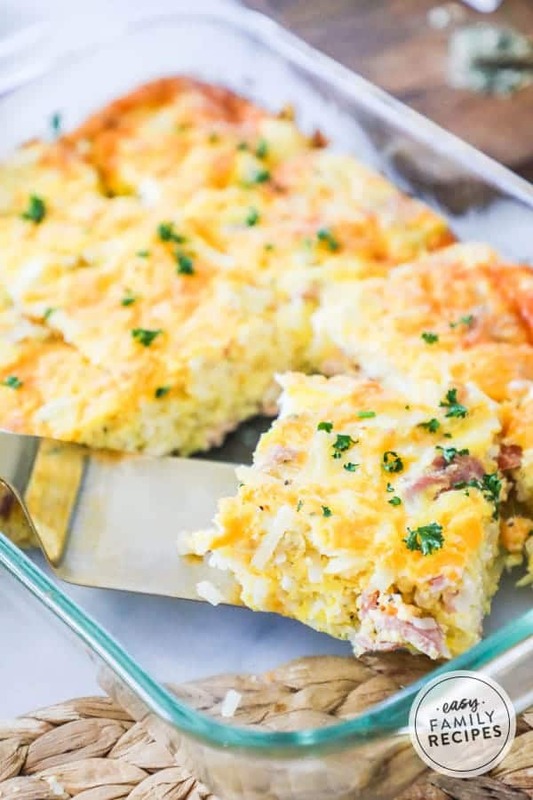 You can save leftovers from this Ham and Cheese Breakfast Casserole in the refrigerator or freezer. The casserole can be saved in the fridge for 3-4 days or in the freezer for up to a month. If you do get a chance to try it, I would love it if you let me know! 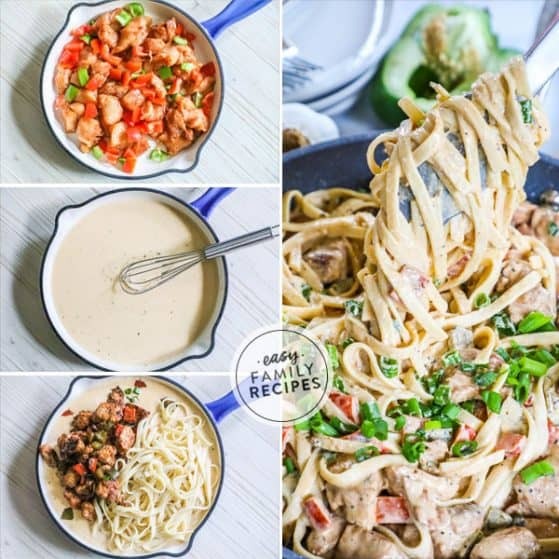 You can leave me a comment below, or if you post a picture on Instagram, make sure to tag me @easyfamilyrecipesso that I can see what you are cooking up! It makes my day to see others enjoying the recipes that I share! 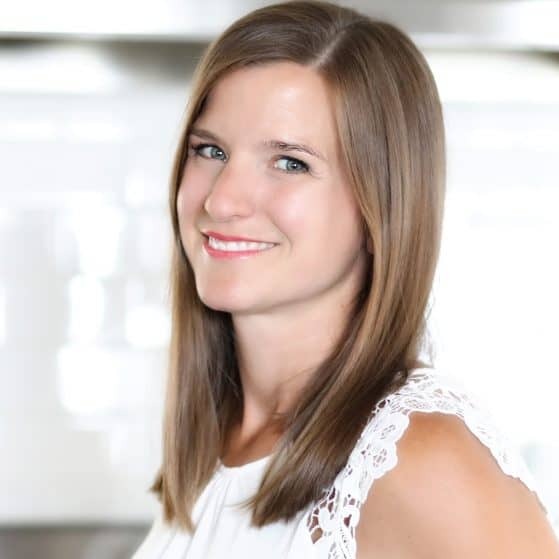 Oh and before you go!… If you need a regular rotation of recipe inspiration like me, make sure to sign up to get our emails! I send out my new favorites, the recipes my family has been devouring, and some of the best tried and true recipes. It is easy and free, of course! You can click here to sign up. 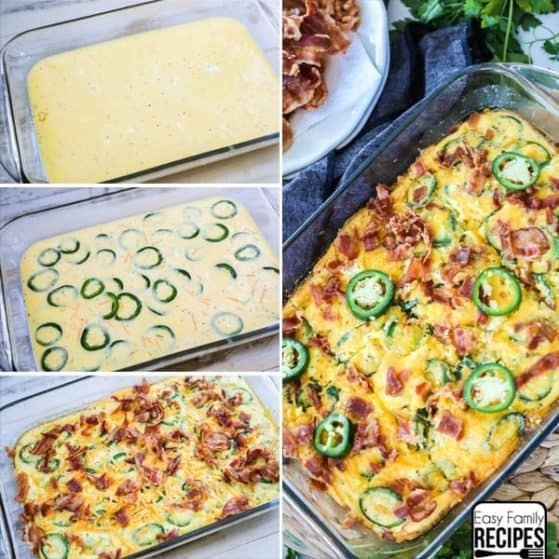 Easy Breakfast Casserole with Bacon – low carb! 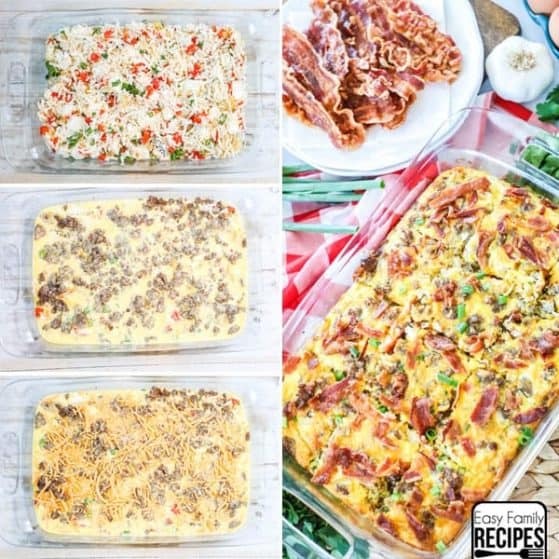 Sausage, Egg & Cream Cheese Breakfast Casserole Recipe – READER FAVORITE! Loaded Hashbrown Casserole – Bacon and sausage! 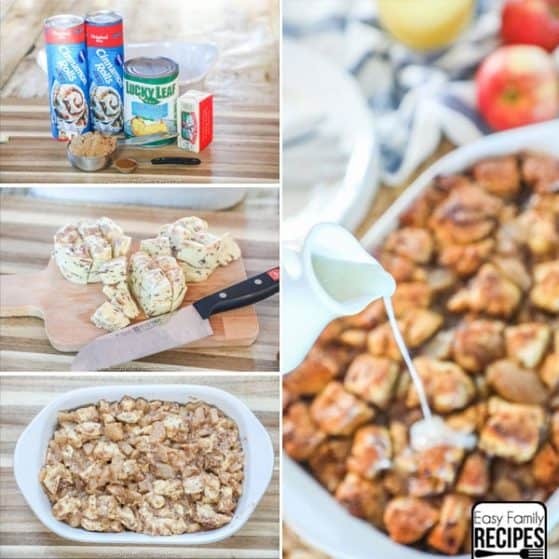 Apple Breakfast Casserole – Our favorite sweet breakfast casserole! 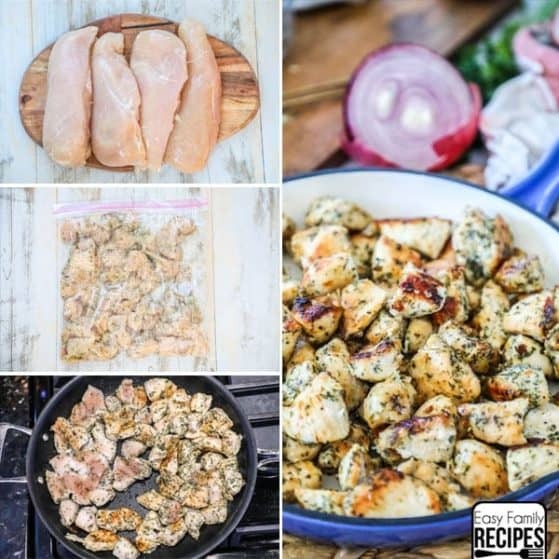 This recipe is quick and easy but loaded with flavors. This recipe is perfect for brunch, holiday gatherings, or a quick easy meal. In a large bowl, combine the hash browns, salt, pepper, 1/2 cup cheddar cheese and ham. Then fold in the cream cheese to distribute it through the mixture. Transfer the hash brown mixture to a greased 9x13" baking dish. This casserole can be made ahead and cooked the following day. To do that prepare the recipe up to step 3 then refrigerate. Continue at step 4 when ready to bake. The baking time will increase by approximately 10-15 minutes. This recipe is naturally gluten free, please check exact brands and ingredients used to ensure compliance.